After 4 days of juicing with The Juice Box cleanse, I feel amazing and highly recommend this if you are interested. If you plan on juicing, try their 3 day cleanse. I will definitely be doing this again in a few months. The second night is when I really started to notice how good my body felt. I wasn't bloated, hungry or low on energy. I was suddenly really aware of how I felt internally and I felt lighter. The goal of cleansing was to clean out my system and reset my body and mission accomplished. Today when I woke up I didn't feel starving or any crazy cravings. I had a few juices left over so I enjoyed a nice juice and an apple. After cleansing they recommend eating clean while your body adjusts to solid foods again. My plan for the next few days is eating lots of veggies and incorporating a Vega smoothie or two. As long as its unprocessed and clean its on the menu for me. My whole experience with the Juice Box was great. 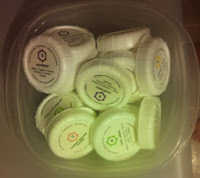 They are very organized and deliver the juices to your door and don't put any rush on returning the bottles. You can schedule a pick up or you can drop them off at their warehouse in Vancouver. The bottles you return and the lids you recycle. I'm sad to see the pile of lids in my kitchen! As for my favorite juice, the verdict is in. I love Heartbeet! It was the 6th juice of the day and as much as I enjoyed all the juices, this one won me over. My second favorite was the Carrot Orange Ginger which is the second juice of the day. All the juices are good and I didn't dislike any of them. Number 5 is pretty earthy which suits it's name, Dark Green, but it's still good. A juice cleanse is something I've always wanted to try and after a recommendation from a friend and some research, The Juice Box was the pick and I'm really glad. A big Thanks to Jody and Willow, the husband and wife team, who bring these amazing juices to people everyday! They are passionate about what they do and are really great people who checked in on me throughout the experience to see how I was doing. If you are planning on doing a juice cleanse in the near future, support The Juice Box! Wednesday was the third day of my juice cleanse with The Juice Box and I haven't had an crazy cravings and only made it through 5 juices yesterday. It's amazing how clean my system feels and I think my skin is even looking a little clearer. The hardest part of the day was getting in my car2go at the end of the day which smelt like someone had stashed fast food burgers under the seat. I felt like I was driving inside of a McDonald's french fry container. 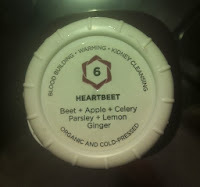 Even with the smell, I wasn't craving anything except my Heartbeet juice! Tomorrow is the last last day of my cleanse and I am starting to prepare some food ideas for my post cleanse day on Friday. They recommend having some fruit for breakfast, a salad for lunch and some veggies for dinner. To me that sounds manageable. I might even whip some soup up in my Vitamix. A carrot ginger soup perhaps. A typical juice cleanse is 3 - 5 days so don't ask my why I picked 4 days. I think when I had originally signed up I thought I wouldn't get my juices until Monday. So my plan was to do the juices Tuesday to Friday. That was my bad. I do still have a few juices left so I will incorporate those into my day on Friday and then call to organize a pick up of all my cute little juice bottles. I can't wait to complete my last day tomorrow but the experience so far has been really good! Tuesday was the second day of my juice cleanse and I'm impressed. I haven't been hungry, felt low on energy or hangry at all! I have been fighting a cold but after visiting the walkin my doc said I was a-okay to continue. I will admit that I miss my morning coffee but that's about it in the craving departments. On the first day I only managed to get through 4 of the juices but yesterday I managed to get through all of them. I was also pushing to make it to the last one of the day because it contain beets and I LOVE beets. Heartbeet it's called! How cute! It's hard to believe that I have already completed two days of juicing! I think the reason it feels effortless is because someone else is doing the juicing. I really love juicing as much as the next person but the thing I hate is cleaning the juicer and I couldn't image prepping all these juices solo and cleaning out my juicer after each. Don't judge me for sounding lazy here because I know others that have juicers collecting dust for the same reason. Last night I got my second delivery of juice from Williow, Jody's wife who is super bubbly and sweet. She picked up my other bottles to take back and said I could schedule a pick up for the remainder of the bottles whenever. The thing I like most besides the juices is the customer service The Juice Box offers. A husband and wife team that are passionate about juicing and the products that they use. I wasn't sure all the in's and out's of how the delivery and pick up worked, or what to do with the bottles or how I would feel and they took the time to explain everything. Now that I have tried all the juices, I can say the Deep Green (5) is the earthiest one of all but is still easy to drink. 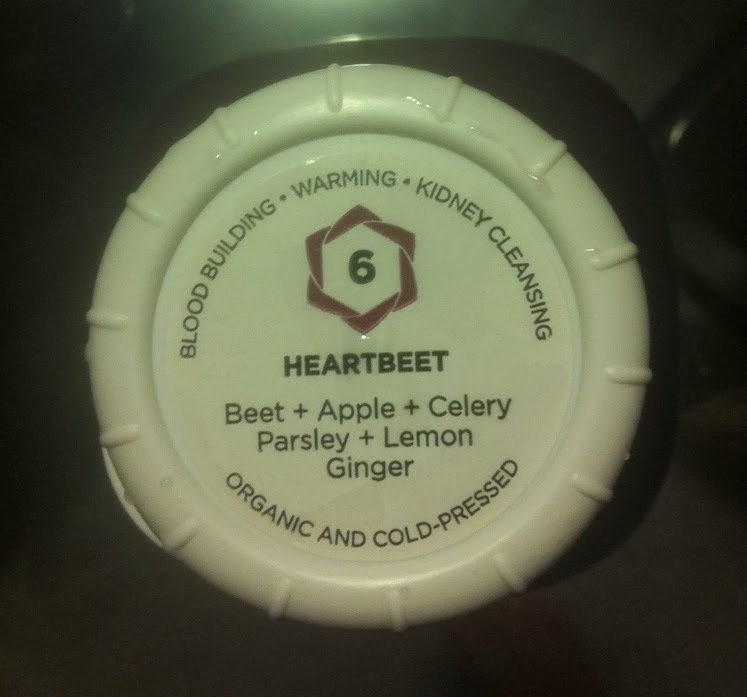 My personal favorite is Carrot Orange Ginger (2) even after trying Heartbeet. The Carrot one takes the icing. Two days down and two to go! Feeling really good and can't wait to see how I feel on Friday! Yesterday was the first day of my 4 day juice cleanse and besides being under the weather I feel great. I haven't felt hungry and really love all the juices. So how does it all work? Well, the night before your cleanse starts your juices get delivered. Since i started my cleanse Monday,, Jody came by on Sunday night to deliver two days worth of juices. He gave me the run down on how I would feel and to not do any intense exercise. He was very knowledgable and I could tell passionate about what he does.. When I got my delivery I couldn't help but think how cute the little glass bottles are! I totally want to keep them but with each bottle you get a $2.00 deposit back. The juices are colorful and carefully labelled with what juice is it, number 1,2,3....and what's in each bottle. I am definitely going to miss how colourful my fridge looks. My first juice was an Orange and Cucumber juice which I found refreshing and took my time sipping on it. I felt good like this will be easy. In fact, I only made it through 4 out of 6 juices! I will admit that by about 1pm, I found myself searching food recipes for my healthy, post cleanse weekend. I also found myself on the support page on the Juice Box website. After thinking how nice a decaf coffee would be I find myself reading, "Do not drink coffee during your cleanse." Darn. Well I guess some nice herbal tea will do the warming trick. By dinner time I had finished my fourth juice and I was ready for bed. I have to say that it have loved the juices so far and how good I feel. I can't wait for the rest of the week! I've come to the conclusion that I like trendy trends. New workouts, paint colors and shoes. You get the idea. Well the latest and craziest thing on my list is the Juice Box. A friend of mine completed a 3 day juice cleanse where you consume 6 raw and organic juices each day. Putting hanger aside, it intrigued me. As she was listing off all the reasons why she did it and how great she felt I got the idea stuck in my head. The idea was stuck and today I found myself clicking "complete order" on the Juice Box website. Next Monday my juices will arrive and I'm anxious to give it a whirl. Needless to say if you ask me to go out next week I will likely have a juice or two in tow. Don't judge. You should know but now that I'm always up to try something new. Remember the bagged chicken? I spent time last night researching the different companies like The The Juice Box, The People's Juicery and The Juice Truck and after much deliberation The Juice Box won me over. Maybe it was the cute glass bottles the juice comes in and how they come pick them up at the end of the cleanse. Okay, now you can judge me. This juice cleanse was something I've wanted to do for a while but I was definitely inspired and can't wait to track my journey next week. Monday's post I'm expecting to be a lot different than Thursdays....yes. I am doing it for 4 whole days....In addition to this, I will be cutting out caffeine and sticking with caffeine free teas. Needless to say I will be getting my fix of the Food Network next week. Eat. Sweat. Smile. Repeat! And don't forget to YOLO it up!